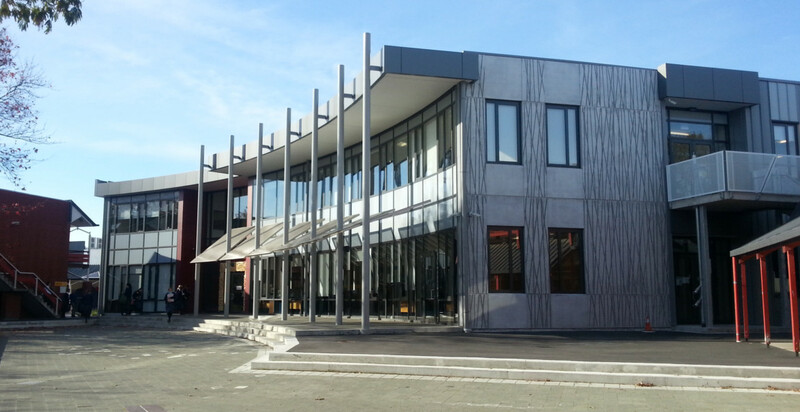 Rangi Ruru Girls School - Project Blue Sky - Acoustic Engineering Services provides measurement, design advice, and expert evidence in the field of acoustics and noise control. Project Blue Sky is a significant and exciting project to redevelop the majority of Rangi Ruru site. AES was called in to ensure appropriate acoustic engineering solutions were included in the Academic Precinct including Science and Technology Building, Gibson Centre learning centre / library, Visual Arts Building and the General Academic Building. Challenges of separating high and low noise activities, and providing appropriate internal environments for a wide range of activities were also met head-on in the design process for the Music and Drama School. Stages still on the drawing board include a swimming pool, sports pavilion, Intermediate School, School Hall and Performing Arts Centre. This project was led by Senior Acoustic Engineer Tracy Hilliker who worked closely with Melbourne-based architects McIldowie Partners. Tracy explains how it was great to work on a project which embraced a modern style of teaching and focused on providing flexible spaces – although this presented some new and interesting challenges – “As with all projects, it was absolutely essential to sit down at an early stage with the clients and project team, completely understand their needs, and vision for each space”. Among the unique aspects of this project embraced by the AES team were a preference for exposed concrete ceilings with ‘cloud’ panels of acoustic absorption hanging below instead of traditional ceiling tiles, and the ‘Gibson Centre’ – a large circular library space and IT hub. The outcome achieved by Tracy and the team within the ‘Collaboration Space’ associated with the Science and Technology Building in particular has gone beyond many peoples original expectations for the space, with the April 2014 Rangi News bulletin describing the revelation of the performance-quality acoustics of the space during the opening ceremony – “As guests took their seats the Kapa Haka group performed from the stairwell. The crowd revelled in the unexpected acoustics of the building and for some, thought turned to future opportunities for the building beyond the teaching and research of science”.